Several years ago, I received the unfortunate news that a friend had suffered a stroke. As a result, he lost much of his memory. He remembered only a few people and had a lot of trouble remembering places and events. When I spoke with him, I noticed he was unable to keep track of the topics we were discussing. He repeated some of the same facts and anecdotes several times, not realizing he had already mentioned them. One of the most striking things about our conversation, however, was that his frame of reference seemed to be stuck somewhere in the 1990s. He discussed friends that we shared in the past, not realizing that the friendships and events he remembered had occurred more than 20 years ago. As his cognitive reference to the distant past (along with his difficulty in retaining newer memories) became more apparent, I started to envision him as someone caught in a time warp. 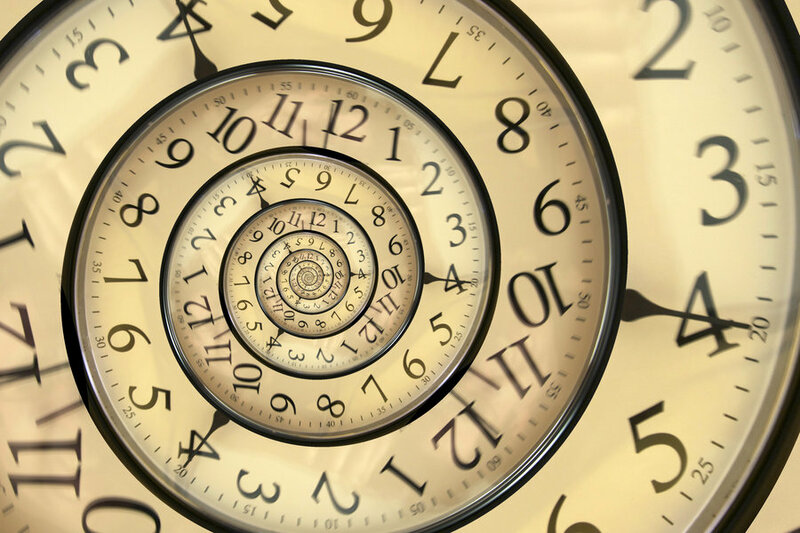 A time warp is formally defined as a “hypothetical discontinuity or distortion occurring in the flow of time that would move events from one time period to another, or suspend the passage of time.” However, it commonly refers to any distortion of space-time, or even time standing still. This appeared to be relevant for my friend. The concept of time travel is a longstanding fantasy for many sci-fi fans. However, getting stuck in a time warp is a dreaded risk of traveling across space and time. But does the concept of a time warp only lend itself to the makings of great science fiction? One could argue that living in a time warp is a common earthly occurrence. We suffer a similar impairment when we refuse to let go of the past; we become stuck in a personal time warp, in the same manner as my friend. Holding on to pain and resentments keeps an unbalanced focus on a past occurrence, which prevents us from accepting newer more relevant facts. As we go about the business of living, we are presented with opportunities for new lessons daily. But as long as we remain stuck in a past reality, we are unable to add new facts to our life story. It’s like reading a book and getting stuck somewhere in the middle. Instead of effortlessly reading from beginning to end, we interrupt the developing plot, preferring to read the same gut-wrenching chapter over and over again. If you are holding on to pain and resentment, it may be helpful to consider that letting go will allow the plot of your personal story to progress. Instead of being stuck in the time warp of an unpleasant chapter, letting go will allow you to finally turn the page. Time travel may seem exciting to the imagination, but if you reflect upon the plot of a typical movie in which the main character is stuck in a time warp, the protagonist usually makes a great effort to return to the present. In other words, being stuck there is an undesirable state. Unlike books and movies, we don’t need to repair a time craft in order to return to the present. Escaping personal time warps are a matter of realizing that time has moved on, while we haven’t – and then doing the work required to let go of the thoughts and memories that are keeping us stuck in the past. Considering the plight of my friend, who has since passed away, we should be enlightened to the fact that our ability to reside in the present is truly a gift. Unlike my friend, we don’t have to be stuck if we don’t wish to be. At the end of our lives, it is not likely that many of us will wish that we would have spent more time being angry, sad, or bitter. At that point, grudges and resentment will have very little significance in the grand scheme of things, so why continue to hold on to them? Time warps are fictional plot devices that defy the laws of physics. We should leave them as such because life is much too precious for us to squander the present. Are you holding on to something from the past? What action could you take today that will enable you to turn the page?